This summer we packed up the van and set out towards the Smokey Mountains Griswald style. Eighteen of us from all parts of the country met up near Pigeon Forge, TN and we rented a large house in the Smokey Mountains. Our trip included a lot of outdoor activities such as zip lining, white water rafting and hiking in Smokey Mountains National Park. Our outdoor adventures took us in and around the City of Pigeon Forge and Gatlinburg, TN. If you could sum up a tourist town in one or two words it would be Gatlinburg or Pigeon Forge. Per ca-pita I am convinced that Pigeon Forge has the most go cart tracks per square mile anywhere in the world. Ice cream shops, mini golf and souvenir stands dot the landscape. It is almost overwhelming how many options there are and how many things you can do. 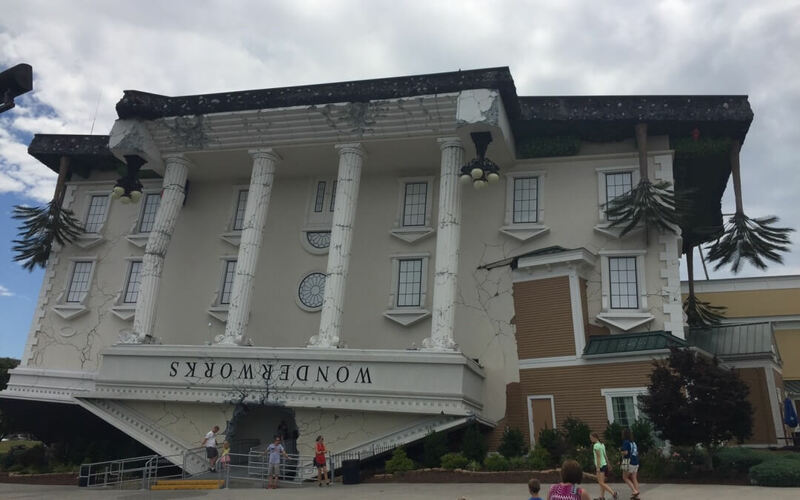 The Upside Down House That Caused All The Rage! When traveling with 18 people ranging from ages 4 -60 opinions on what to do each day can vary greatly and making decisions can be frustrating to say the least. What was interesting to me was that despite the hundreds of choices of things to do the group overwhelming wanted to go to the “upside down” house. None of us knew what the “upside down house” was and no one seemed to care…we just had to go there. 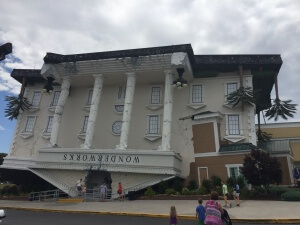 After consulting my trusty assistant Google it turns out that the upside down house was a kids museum/indoor amusement park called the WonderWorks. After visiting the website and explaining to the group what the upside down house was the need to go there reached an all time height. As we parked and started walking towards the building the kids had to get their picture taken and some pretended to be holding the building up Eiffel Tower style. Our adventure at the “upside down house” had begun. influence people. I recently met the owner Deluxe Sheet Metal who designed his building out of…wait for it…you guessed it…sheet metal. What was unique was that there was no flat piece on the entire building….the entire building concept is based on designing with curves. 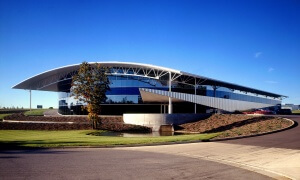 The owner said that people always assume that sheet metal is flat and boring…he designed the building specifically to break that stereotype and is a real life example of the limitless options and creative shapes sheet metal can provide. He literally turned his entire building into a real world sample room! Imagine being his customer and walking up to his building. You never get a second chance to make a first impression. Our design build team of architects has the experience and creativity to include these minor or major accent pieces to bring your brand to life on your building. Our licensed architects use 3D modeling software which allow us to show you on screen what your concept will look like in real color and with realistic textures. You don’t always have to use your full inner Walt Disney like the WonderWorks did…but even a touch of magic can separate you from your competition.